Christopher York, right, withdrew from the Sheriff’s race and threw his support to Kevin McConville, left, for the Republican nomination. The race was in turmoil this week, as Andrew DeStefano also announced. The race for Putnam County sheriff … Please login below or purchase a subscription to the Putnam County Courier to access this content. Mahopac High School has done it again. For the fourth consecutive year, the school has been named to Newsweek Magazine’s list of America’s Best High Schools. MHS Principal Adam Pease congratulated the entire school family last week for a… Please login below or purchase a subscription to the Putnam County Courier to access this content. Putnam’s rate of foreclosure actions continues to rise at a disturbing pace. 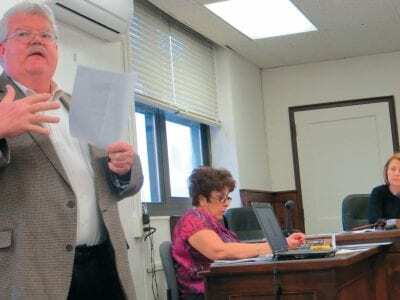 First Deputy County Clerk Michael Bartolotti reported last week 177 foreclosures had been initiated for the four months of 2013—a 127 percent increase from the … Please login below or purchase a subscription to the Putnam County Courier to access this content. 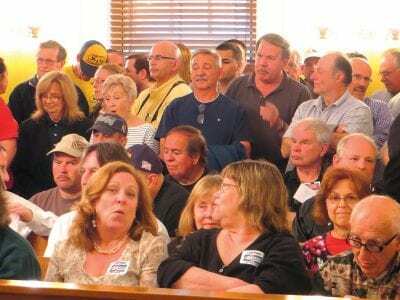 County Executive Mary Ellen Odell’s veto of legislation that called on the Nuclear Regulatory Commission to expand the emergency evacuation zone around Indian Point from 10 miles to 50 miles brought out a large crowd to the historic Putnam Cou… Please login below or purchase a subscription to the Putnam County Courier to access this content. Jared Shoemaker of Carmel will be receiving his first salute Friday from his boyhood friend. 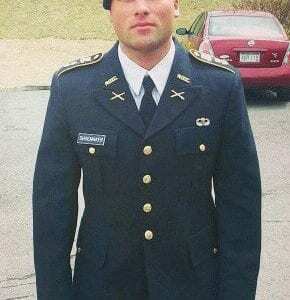 Photo courtesy Jared Shoemaker When Jared Shoemaker receives his commission Friday as a 2nd lieutenant in the U.S. Army, his first salute will be made by his… Please login below or purchase a subscription to the Putnam County Courier to access this content. Bill Nulk addresses Monday’s legislative committee meeting in Carmel while Legislator Barbara Scuccimarra listens with great interest. Business is on the rebound across Putnam County. Bill Nulk, president of the Putnam County Chambers of Commer… Please login below or purchase a subscription to the Putnam County Courier to access this content. From The Chamber Each year, your countywide chamber of commerce comes together for an annual celebration to reflect on the prior year’s achievements and focus on the future. 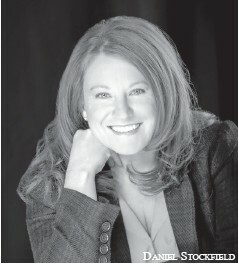 This event will take place on May 23 at Las Mananitas restaurant, 1250… Please login below or purchase a subscription to the Putnam County Courier to access this content.